Americans have this impression of polarization being a fairly recent phenomenon, but it's been around since the 1790s. When Americans think about political polarization, I’d imagine most of them think back to the ’90s — Newt Gingrich, the Clintons, the ascendance of conservative media figures like Rush Limbaugh, all that. Well, polarization started in the ’90s all right. But not the 1990s. The 1790s. In other words, we have this impression of polarization being a fairly recent phenomenon. And it is true that before the 1990s, from World War II until sometime around 1980 or shortly thereafter, we had a reasonably well-functioning two-party system in which there was a lot of compromise. We, or at least those of us of a certain age, tend to think of that period as normal, since it’s what we grew up with. But in fact, that period was abnormal. What’s normal is polarization. If you go back and read about the debates taking place at the very beginning of the republic, they look shockingly similar to our debates today. Then, you had the Hamiltonians vs. the Jeffersonians. Alexander Hamilton and his people were the coastal elites — the city slickers and the swells. The followers of Thomas Jefferson were the backwoods folk, the yeoman farmers. The main thing they fought over? Exactly the same thing we’re still fighting over today: the size and scope of the federal government. Hamilton’s Federalists won the early rounds — securing passage of the national bank, for example — but in time Jefferson’s Democratic-Republicans overwhelmed them, mainly because the Federalists opposed a popular war (the War of 1812). So we’ve always been at each other’s throats, and often over the same kinds of things we still fight about today. But here’s something that was different about the old days: Until pretty recently, we had political parties that didn’t really make any ideological sense. Going way back, there were anti-slavery Democrats and pro-slavery Democrats, anti-slavery Whigs and pro-slavery Whigs. Our political parties were less unified around what they liked than what they hated — in the Whigs’ case, Andrew Jackson. Then, in the late 19th century, the Republicans were split between Half-Breeds (who supported civil-service reform) and Stalwarts (who opposed it), and between Wall Street corporatists and Teddy Roosevelt-type trustbusters. The Democrats were a basket case — Northern corrupt machine pols on the one hand, Jim Crow Southern racists on the other. They made no sense, our parties. In Europe, as political parties emerged in the 19th century, there were parties of the left and parties of the right. But here, for a host of reasons ranging from the slavery issue to geography, we didn’t have that. That’s why, well into the 20th century, as recently as the 1970s, we had liberal Republicans and conservative Democrats. It made no sense. Franklin D. Roosevelt, often stymied by his party’s conservative bloc, was among those who wished things were otherwise. But our system as it existed did have a silver lining. It made compromise more possible. When there’s a lot of overlap between the two parties, there are lots of ways to find common ground. 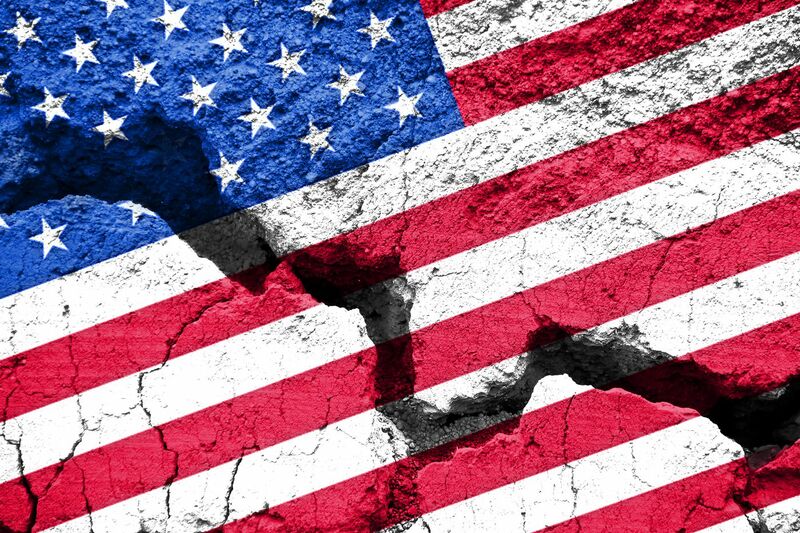 What we’ve seen in our time — starting in the 1960s over civil rights, then accelerating in the succeeding decades over social issues and immigration — is what I call the great ideological sorting out of the two parties. As divisive issues arose, issues that had been ignored (women’s rights) or simply hadn’t existed (abortion), the parties took sides. Finally, we had the ideologically coherent parties that FDR wanted. In a nutshell, that’s the story of our polarization problem. But make no mistake: One party drove this more than the other. Some pundits go on about how “both sides” are to blame, and to some extent that’s true. But the Republicans have done far more to push division than Democrats. They used race and immigration in a divisive way in campaigns. They stopped compromising on taxes after George H.W. Bush signed a tax increase, and since 1990, with a few small exceptions, no Republican senator or House member has voted for a tax increase of any kind. They also imposed a rule in the House, the “Hastert Rule,” saying that as long as they were in charge, no bill could pass without majority Republican support — in other words, they no longer even wanted bipartisan legislation. Is there any way back from this brink? The answer is yes, maybe, but we need to make systemic repairs to our system that it’s going to be awfully hard to get the parties to agree on. It’s going to take time, and it’s going to take leadership from outside the political realm: civic leaders, university presidents, corporate leaders, concerned citizens. I didn’t say it would be easy. Michael Tomasky is the author of If We Can Keep It: How the Republic Collapsed, and How It Might Be Saved, just out from Liveright. He will be speaking at the Constitution Center on Wednesday, Feb. 13, at noon.